When can Wisdom teeth be an issue. Wisdom teeth live at the very back of your mouth. You get two on top, and two on the bottom, completing your set of 32 adult teeth. But today, plenty of people will never develop wisdom teeth at all. Modern-day jaws are slowly evolving, and wisdom teeth are leaving the picture. Scientists think this is because our diets have changed. The days of grinding raw meats with our teeth are far behind us. Our bodies have recognised this and stopped wisdom teeth from growing – in some people. Why can wisdom teeth be such an issue? Wisdom teeth grow in at the very back of the mouth, usually around the ages of 17-21. By this time, all of your adult teeth have grown into place, sometimes not leaving much room for wisdom teeth. Because of this, they might try to emerge underneath existing teeth, or grow sideways through the gums. In a partial eruption, they are only partially covered with a thin layer of gum tissue, making them vulnerable to infection and decay. Partially erupted wisdom teeth can be painful. 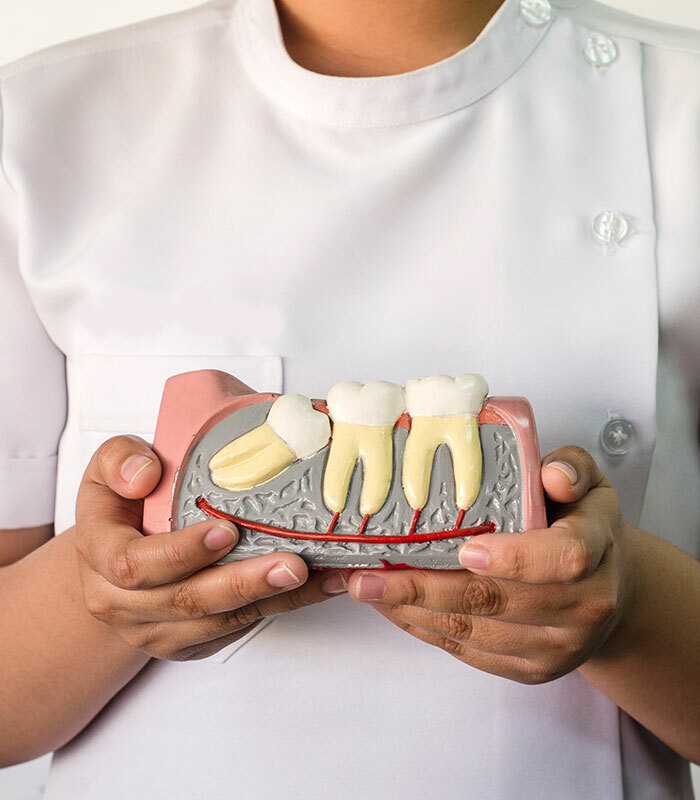 Luckily, Duncraig Dental Care scans for wisdom teeth development in the younger years, and can often predict how they might grow in and create a plan for extraction if needed. When performing this treatment, we are highly focused on ensuring the procedure runs smoothly. We offer a range of sedation options so that you can stay relaxed and comfortable.